This year's National Voter Registration Dayopens a new window is Tuesday, September 25. If you haven't registered to vote yet, you don't have to wait until September 25. 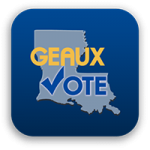 Louisiana residents can register today, in person, online, or through the mail. Louisianians as young as 16 years old can register to vote, although you do have to wait until you are 18 years old to be eligible to vote in an election. 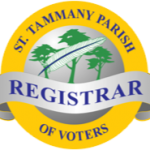 The St. Tammany Parish Registrar of Voters websiteopens a new window provides information for St. Tammany Parish voters, including early voting locations, voting forms, and a polling place locator. • The Towers Building at 520 Old Spanish Trail, Suite 4C in Slidell. Before you visit one of these offices, save yourself some time. 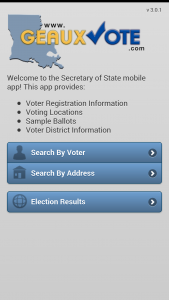 Go hereopens a new window to get the voter registration application from the Louisiana Secretary of State’s website. Fill out the application online, then print it. If you don't have a computer and/or a printer, please visit any branch of the St. Tammany Parish Libraryopens a new window. Anyone who is old enough to vote can use a computer for free (even if you don't have a library card). Your first 5 black and white printed pages are free of charge. If you want to register to vote by mail, you can mail your completed application to either of the St. Tammany Parish Registrar of Voters officesopens a new window. 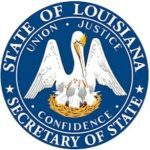 If you want to register to vote online, and you have a current Louisiana Driver's License, visit the Louisiana Secretary of State's online voter registration serviceopens a new window, scroll down a bit, and select "CLICK HERE TO REGISTER OR CHANGE YOUR REGISTRATION." Be sure to register to vote 30 days prior to the date of the election (or 20 days prior if you use the online voter registration service). 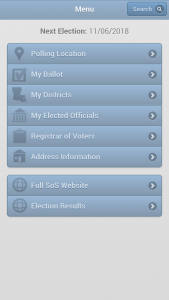 The next election in St. Tammany Parish will be Tuesday, November 6.
opens a new windowIf you're already registered to vote, and you'd like to find current information about elections in your area (including the full text of propositions and amendments on your ballot), visit the Secretary of State's Louisiana Voter Portalopens a new window or download the free GeauxVote appopens a new window to your iOSopens a new window or Android opens a new windowmobile device.